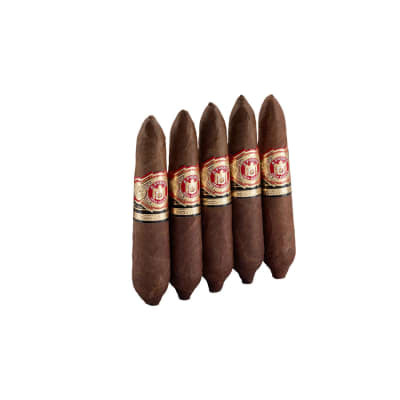 La Aurora Preferido cigars are one of the most sought after premium cigars for their hearty, 1903-vintage flavor and Double Perfecto shape, which has been recreated in this luxurious series. 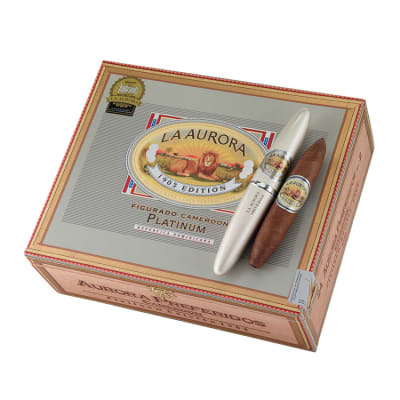 Each La Aurora Preferidos Platinum Cameroon #2 Tubes cigar is blended with select, oak-barrel-aged Cameroon, Brazilian, and Dominican longfillers finished in naturally sweet, Grade-1 African Cameroon wrappers. 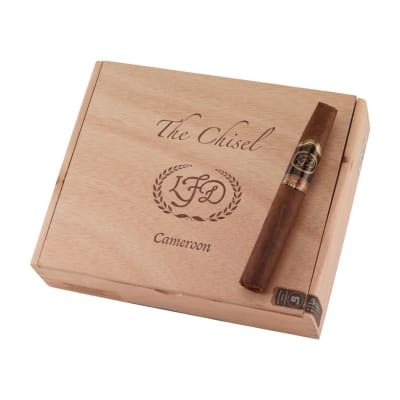 The result is a consistently smooth, well-balanced, full-bodied cigar brimming with dense, complex flavor. A marvelous 'must-smoke' classic! Smoked one of the Platinums this weekend. Solid construction. Wrapper was dry. Crinkled when I pinched it. It may not have been stored properly.Started nice. Too mild for my taste. Tasted likeash midway through. Dipped the end in some CrownRoyal. No help. Glad I didn't pay for this one.